Creative Mermaids is not about the hustle. Although we do respect there is a time and place for it. What it is about is living a creative and vibrant life as defined by you! Too often we fall prey to marketing tactics and gimmicks to make us panic and fork over our hard earned cash for a solution that is not even what we want! 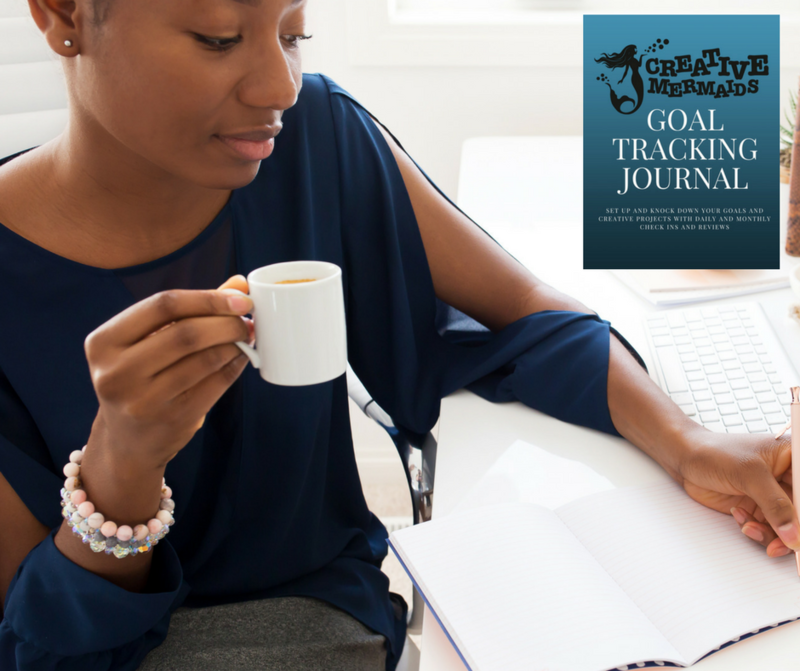 This book is about honoring your goals as part of your journey. We all have a different path to walk. Each one is valid. And getting off our path at times is in fact, part of our path! We have things to learn and we would never learn them if it was as simple as deciding and then just doing! At Creative Mermaids we believe that creativity and our lives are like the seasons. There is a time to plant and a time to reap and a time to let things happen beneath the surface when above it appears that nothing is happening at all. The problem comes when we try to skip our seasons. When we think that everyone should be in sync. And then we beat ourselves up instead of respecting where we are. Of course, it can also be hard to tell, especially during the transition periods, where we are. Am I being lazy? Is this resistance to my work? Am I just terrified to be visible and I am telling myself that this is my winter phase? This is where regular check-ins and deep dives help. Only you can truly know the answers to these questions. Yet, we have been trained since babies to listen to other people rather than ourselves. This book is meant to help you see how far you have come with an easy glance. With daily and monthly check-ins and assessments, you can see what is working and what is not, as well as still being able to celebrate being in full motion.